We schedule the appointment for 10:30am and when we got there the receptionist told us that the appointment was at 11amso I told them that we had the appointment at 10:30 but she insisted on 11 and she said either way you will have to wait and we saw the doctor around 11:30. We schedule the appointment for 10:30am and when we got there the receptionist told us that the appointment was at 11am so I told them that we had the appointment at10:30 but she insisted on 11 and she said either way you will have to wait and we saw the doctor around 11:30. The doctor was very informative, asked various questions and was very professional. Wonderful doctor and PA. Very caring and thorough. Excellent first experience. The office was very clean. Imelda is an excellent Nurse Practitioner! Always very nice and professional. Highly recommend this office. I've seen Imelda Cojo several times now and find her to be competent, thorough, approachable and genuinely concerned for your health. I felt that also about Dr. Mathur today. My experience so far has been has beenvery positive. They explain things well, give trusted medical advice and care and make necessary referrals as needed. I really appreciated the fact that the nurse practitioner took her time and spoke with me about a number of things. Most doctor's offices just want to rush you right through, regardless of whether you are a new patient, especially inthe NOVA area. That is not the case with this office and I found that very refreshing! Todo el personal es profesional y muy agradable. Me encanta la actitud y la energia positiva que transmiten. I like Doctor Mathur; My gave my rating of the Doctor and his office personnel in this survey based on past visits; however, the on-line scheduling service system is a FAILURE. I had problems in the past with ZOCDOC and didnot trust that it would work this time. Well, guess what I called to confirm with the doctor's office, and they told me that your system does not have the Doctor's time / office schedule and that he is not in the office in the mornings. Apparently he is at the hospital making rounds. Well I made a scheduled appointment with the Doctor's receptionist myself. I hope the quality and reliability of the hospital is at least somewhat more reliable than ZOCDOC pseudo-scheduling system. Since I'm young, I'm used to Drs treating me like I don't know what I'm talking about.. I moved here from PA and needed to establish myself with a dermatologist, Asthma/Allergy doctor, and GI doctor because I've had many serious healthissues in the past. After telling him this, he literally looked and at me (without looking at any of my records) and told me I was over reacting and that I was over treating myself. I left crying because I knew I needed to be assisted and pointed in the right direction, but being new to the area I had no idea where to start.. So needless to say, I found another doctor who helped me right away with what I knew I needed. I usually see the NP, Imelda when I go to the office. I simply love her. She is so sweet, kind and attentive. I have only met Dr. Mathur once who is very pleasant as well. Most people prefer to seeMD's but I am always happy to see the NP at this office. Dr. Mathur was very friendly and easy to talk to. Came in for a routine physical armed with genetic testing data--Dr. Mathur was excited to see how my genetic mutations might relate to my health/blood test results. Would recommend! He listened carefully to my symptoms and gave reasonable suggestions, including a referral to a specialist. Dr. Mathur was excellent very friendly and knowledgeable. I'm definitely keeping him as my primary physician. Not to mention the staff and nurse were excellent I was very pleased on how I was welcome they made me feel that they have been seeing me for ever. Such a great office, excellent nurse practitioner and doctor and the hours can't be beat for working professionals like myself. I had an excellent experience. 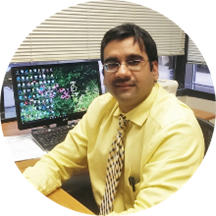 Dr. Mathur was very thorough and knowledgeable. I appreciated all the time he spent with me to understand my history. Very professional, I will continue to go to his officer in the future and will definitely recommend him and his staff to family and friends. A bit conservative regarding use of controlled substances even when new (from out of state) patient has used for a long period of time. I have no choice on medications due to chronic pain and severe allergy to alternative medications (Nsaids).Wanted to refer out to specialists; thought a board certified physician should be able to manage these medications. This was my first visit. I was looking for a new primary. One closer to where I live and one that took my insurance. So far so good. Everyone was very kind. They all took their time. He has extended hoursand even weekend hours. I look forward to a long relationship. Everyone's so nice and approachable, highly recommend him and his staff! Very professional.. Staff easy to talk to, the new nurse very nice and understanding, she listen. The woman at the front desk, who is the nurse and the receptionist was extremely polite and efficient. I met with the nurse practitioner and Dr. Mathur who were also both kind and thorough. I was impressed with the practitioner, she has a good patient relationships perfect in general. Dr. Mathur was very pleasant, and informative during my visit. He was very willing to complete the paperwork and referrals I needed in a timely manner. He is very kind and thorough plus he is easily accessible during evenings and weekend. Great doctor! I got to explain everything I needed to tell him and he listened and gave me his feedback. Gives you his full attention same as his staff. Definitely returning. The staff and the doctor are always very nice and professional. Great service, kind and friendly staff, knowledgeable and accommodating doctor and nurse practitioner; will recommend to others. The staff here is very friendly. They listen to your concerns as well, I mean you are suppose to tell the doc everything symptom wise. Great location as well! Good manner about him. Not an arrogant prick like most doctors. Thorough; discusses tests, diagnosis and treatment options in a conversational manner. Very understanding. The staff is also very caring. As always it was a professional visit. The doctor and his staff are exceptional.